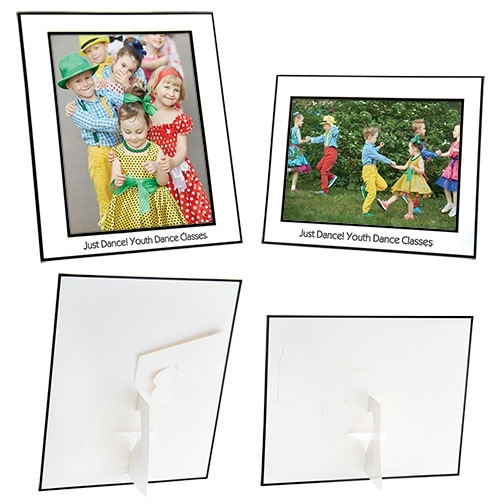 Features an easy fold-out cardboard easel. 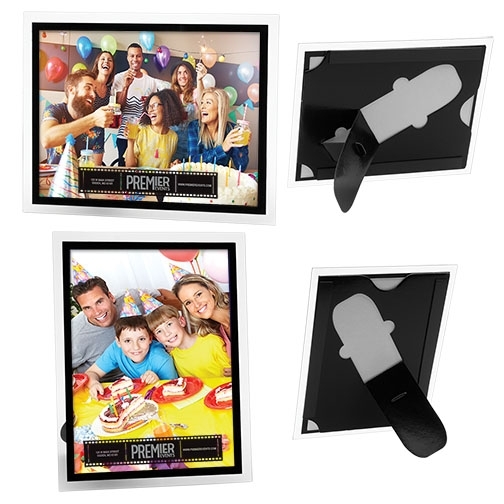 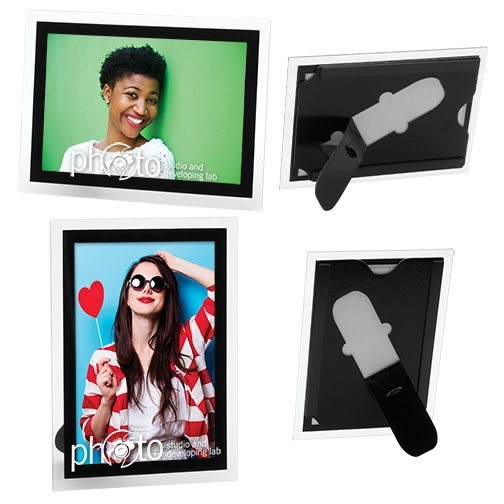 Magnetic back allows for display on metal surfaces such as refrigerators and file cabinets. 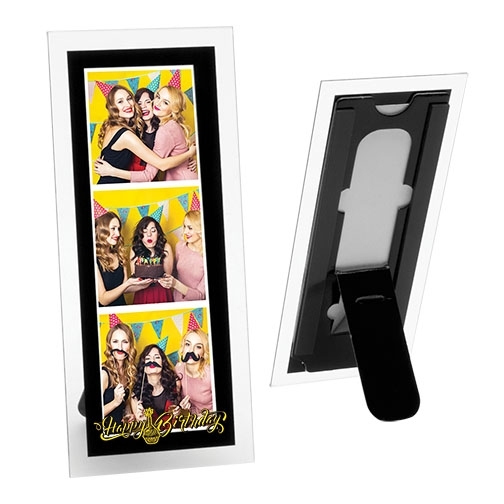 Can be used for vertical or horizontal photos.